An ex-Wigan amateur rugby player found hanged by his neighbour may not have intended to take his own life, a coroner has ruled. Coroner Mr Alan Walsh, read statements of evidence during the hearing, held yesterday in Bolton in which family members and close friends said the former Wigan St Patricks player gave “no indication” that he was suicidal despite a long history of alcohol and mental health problems. His son, Craig, who is in the British Armed Forces, was unable to make the inquest due to work commitments, but in a written declaration he explained how his dad “loved” Wigan rugby and football. He wrote: “I last saw him on February 4 and 5 and last spoke to him around February 9. He appeared to be his normal self. He was talking about plans for the future.” Craig told police coroner’s officers that his dad had “never mentioned” to him about feeling low or having feelings of self-harm. Despite taking an overdose following the breakdown of his marriage in 2003, Mr Poole had remained private about his feelings, with his brother Irvin Poole telling the coroner that the family were not aware of this previous attempt to take his life. 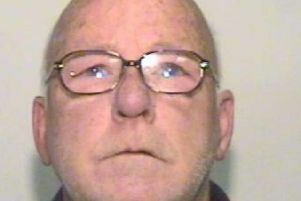 Maureen Thompson, who found Mr Poole in the communal stairway also testified that in the nine years of being neighbours and “close friends”, he had never mentioned being suicidal. On occasion Mr Poole had talked about having depression and how he missed his son when he went away to the army. On the morning of his death at around 9am Ms Thompson went to check on her friend when she found him crying, which was “very out of character”. Mr Poole, who had had a fall out with his girlfriend Julie Heap, told Ms Thompson that he had been drinking cans of lager all night. “He said he missed his lad,” she said in her statement. “I got the impression he was lonely.” After doing his ironing, Ms Thompson returned at around 7.15pm, using the stairway to go up to his flat, when she found his body in the stairwell and called for paramedics. Sadly Mr Poole was pronounced dead at Wigan Infirmary at 8.48pm after medical staff tried to resuscitate him. A post-mortem found him to be at around three times the UK drink-driving limit with traces of cocaine in his blood, which the pathologist believed could have “affected his inhibitions”. After hearing the evidence, Mr Walsh concluded that because of a lack of suicide note, and Mr Poole’s history with breakdowns relating to his love-life, he could not believe that he intended to take his own life and ruled that his death was caused by hanging but that his intentions were unclear. If something’s troubling you, contact the Wigan Samaritans on 01942 492 222 (local call charges apply) or 116 123 (this number is free to call).